"In 1838 the Burghers of Pilsen gathered in the town square and poured 36 barrels of beer into the drains [...] This uncharacteristic revolt was prompted by the various poor quality, unsavoury brews being offered up as beer." Thus is the tale about the pivotal event that prompted the good burghers and brewing rights holders of the city to set up the brewery that would eventually become Pilsner Urquell. First of all, there's no precise date of the event, while we do know when the first batch of PU was tapped (5 October, or 11 November, or 25 February of 1842, depending on whom you ask), but of the revolt, not even a month, which is strange for something of such apparent importance. And believe me, I looked for it, I spent much of last weekend researching, trying to find a reliable reference (my social life is awesome, as you can see). After realising that web pages were a bit of a waste of time, I went to Google Books (what a wonderful tool) and found a couple of very interesting things. The London general gazetteer, by Richard Brooks, published in 1838, on p. 581 mentions that "Pilsen [...] is particularly rich in sheep, and noted for excellent cheese". No mention of beer or breweries. In the same book, on p. 607 we are told that in Rakovník "very good beer is brewed" and on p. 403, that Jorkau, a town near Žatec (I wasn't able to find the Czech name of Jorkau) is "celebrated for its breweries". Mc'Culloch̓s universal gazetteer, published in 1855, in the entry for Pilsen (p. 604), the author mentions the schools, the woolen, leather and iron industries and also the large fair that was held once a year, which was attended by traders from all over Bohemia. Nothing about the brewery, or brewing industry at all. And in a book called A dictionary, geographical, statistical, and historical: of the various countries, places, and principal natural objects in the world, Volumes 1-2, published in 1866, we can read on page 391 that in Bohemia "Some wine is made, but the quality is very inferior; and beer is the national beverage". Yet there's no mention of Pilsen (or Prague for that matter) as a brewing centre of particular importance. 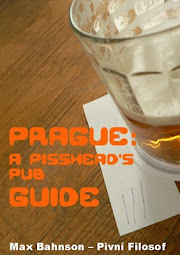 In fact, I found very few references of beer and brewing in Bohemia in these and other contemporary books I consulted. In one of them, I can't remember which one now, the author speaks at length about the beauty of Prague and its architecture, and about its cultural life, but doesn't mention a single brewery. However, beer and breweries are mentioned in the entries of other cities and countries. For example, A Gazetteer of the world (1856) says that in Belgium "the number of breweries amount to 2800 and a large portion of their produce is exported". 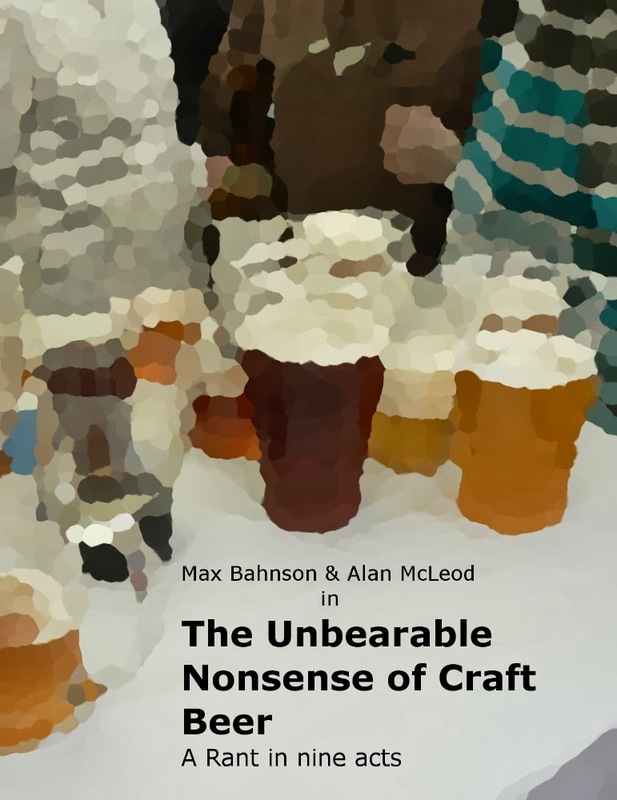 The breweries and beers of cities in Saxony, Bavaria and even France and Holland, among many others, are mentioned as well in this and the other books. That might be because at the time those books were written, brewing in Bohemia was done mostly by small breweries and not the large ones that would become the norm by the end of the 19th century. The only reference to the "Pilsen's beer revolt" was was an indirect one and I found it in a Czech book called "Pivovarnictví", by Ladislav Chládek. On page 40 the author mentions that the "Měšťanský Pivovar v Plzni" (Burghers* brewery in Pilsen) was established in 1839, adding that it was because the beer in the city was bad, but I don't quite believe that, either. On the same page in Pivovarnictví, just above the reference mentioned in the previous paragraph, there are a couple of interesting things that might start shedding some light on all this. We are told there that bottom fermented lagers had already been brewed in Bohemia in the 15th Century (something Evan Rail already talked about a while ago, and that, if proven correct, would challenge the latest findings of cold fermenting yeasts tracing their origin to Patagonia). However, they seemed to have been rather exceptional. Bottom, or cold, fermented brewing didn't catch on in Bohemia until 1840. Yes, that's 2 years before the first pint "Měšťanský Pivovar v Plzni" was tapped. According to this book it was brewmaster Votěch Wanka (please, keep the silly jokes to yourselves) who brewing lagers in U Primasů, a brewery in Koňský Trh (Wenceslas Sq., today) and only a year later, already 10% of all the breweries in the realm had switched to bottom fermenting, and their number was growing. Though, according to this lagering was already being done in Prague as early as 1830's, though with top fermented beers). This was not fortuitous. When Anton Dreher took over the family business in 1833, he switched to brewing lagers (or 1836), which turned out to be a pretty good idea. Dreher's brewery near Vienna expanded rapidly and would later become the centre of a company that owned breweries all over the Austrian Empire. During those years, Mr. Dreher and his mate Gabriel Sedlmayr II, owner of Spaten, in Munich, went to Great Britain where they were very impressed with what they saw, and tasted, in Burton and by the English method of malting. And in fact, according to something Ron Pattison told me once in an e-mail, Dreher was so impressed that he tried, unsuccessfully, to brew pale in Austria. So my theory is that the Burghers in Pilsen actually wanted to make something like Pale Ale. It all fits in quite well. The Pilsen malts were made using the English method, but brewing a PA the English way had proved to be a risk (or maybe they even tried it, and didn't work out). Lager brewing was expanding rapidly in Bohemia. And there's the beer itself, the Pale Lager. There are no analysis of colour of Pale Ales in the 1830's, but in Ron's, and in other places, I found several mentions of these beers being brewed from "the palest malts", so it's possible to believe that their colour was that of Pilsner Urquell. Moreover, unlike most other styles of lager of the time, and still now, the Pilsner was also much hoppier, just like Pale Ales. Too many coincidences. It could have been that the beers in Pilsen were not that good or, at least, were not as good as lagers, as I especulated once, either way, it's clear to me that "Měšťanský Pivovar v Plzni" was established purely because its owners saw the way the wind was blowing and they were no fools, how bad or good the beers were had little, if anything, to do with it. Another thing to also bear in mind is that, unlike what I used to believe, the Pale Lager wouldn't take the world by storm right away, it was more like a slow change in the seasons, even in Bohemia, but that's another story. * I believe "Burgher" is a more appropriate translation than Citizen to the Czech word "Měšťan"
1. the date of publication. Being published in the year when the Pilsen Beer Dump allegedly took place allows for the possibility that either the author didn't know about the event, or that it took place after the publication of the book. Either way, I would be skeptical about its reliability for this story. 2. it would appear that the entries for Rakovnik and Jorkau (which I am fairly certain is Jirkov) relate to the quality and quantity of the beer being produced in those towns respectively. If the legend has a grain of truth to it, that the beer was not exceptional in any way, and certainly not the main industry of the town, then I would not expect it to be mentioned. Just because we are interested in the most famous export of the city in modern times, doesn't mean it was a vital part of commerce when the book was written. It's interesting how mythologies are formed, but they generally arise out of some truth, seems hard to believe the legend was just made up. Doesn't mean that the burghers weren't just carrying out a cleverly planned pre-launch marketing ploy though. It could have also been that the thing happened, but as a protest for something else, tax increases? the entry of beers from other towns? Excellent work, Max, I've long doubted the truth of much of the "birth of pils" story. Are there any old newspapers from the area surviving from that period? (Likely to be in German, I suspect, rather than Czech.) You're right, I'm sure, that "Burghers" is a better translation than "citizens", "Burghers" implies holders of civic rights, which these guys apparently had (ie the right to brew). Given the timing I would be surprised if there is anything in Czech, the National Revival wasn't until 1848. Pilsen was still a predominately German town in 1838, as it was until 1860, and it it took until 1918 for Czech speakers to become a clear majority. If there are any archive records of Pilsen's beer trade pre-1838, they are likely to be in the Austrian National Archives rather than the Czech. It was there that I found references to Budweis's brewing traditions, whereas the Czech archives had little beyond 1918.